We recently enjoyed a week-long trip to Memphis, TN for business. 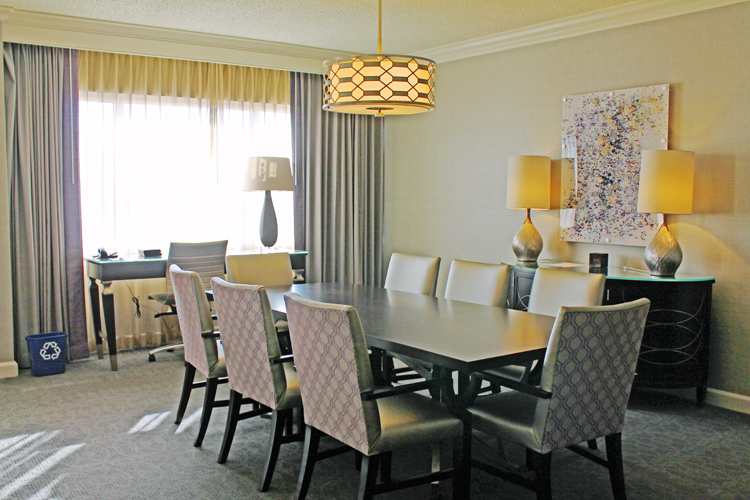 While there, we had the pleasure of staying at the Sheraton Memphis Downtown Hotel. The following review will cover the hotel and some of the interesting things to do while in Memphis. Located at 250 N. Main St in downtown Memphis, this hotel has 19 floors is quite large. It has a modern feel and is well maintained. The staff were pleasant and accommodating. Supervisory staff were always on hand and capably resolved any and every situation no matter how minor. There is concierge service and underground parking ramp parking available for a fee. It is connected to the Cook Convention Center, which shares the parking garage with the hotel. There is an in-house security staff that monitors the hotel 24/7. Both the parking and security features are good to know since all downtown area hotels need to take added precautions to help protect guests from unwanted panhandlers and potential crime. The amenities at this hotel were very nice. The rooms were well decorated and no maintenance issues were observed. The bed and furniture were comfortable and the bathroom and provided toiletries were very good. The full service restaurant served delicious food, and the café and bar adjacent to the restaurant was also very nice. Prices were moderate. Starbucks coffee is served throughout the hotel and also found in each guest room. The lounge on the 19th floor is available for an additional fee and is well stocked with hot and cold beverages, along with a nice hot breakfast and mini finger foods were dinner. Fruits are available throughout the day as well. The lounge offers a pleasant view of the Mississippi River and of the Bass Pro Shops “pyramid” building – a famous Memphis icon. The Sheraton also has a decent full size pool and workout room for those wanting to exercise or relax in the water. The common areas were open and pleasant, with a library and reading area, business section with PCs and copy machine, and multiple elevator areas. Some elevators have a glass side so that you can view the outdoors while it is operating. 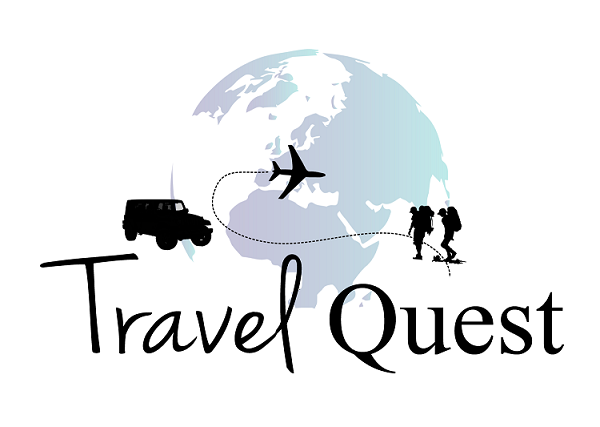 Pros: Has a level of comfort and customer service expected of a high quality hotel. Friendly staff, nice common areas. Food quality and service were above average. Very pleasant experience. Excellent full service hotel for the price. Visit the streets where musical legends, such as Louis Armstrong, Muddy Waters, and B.B. King at Beale Street in Downtown Memphis. Visit the Graceland Memphis is home to the one and only Elvis Presley. 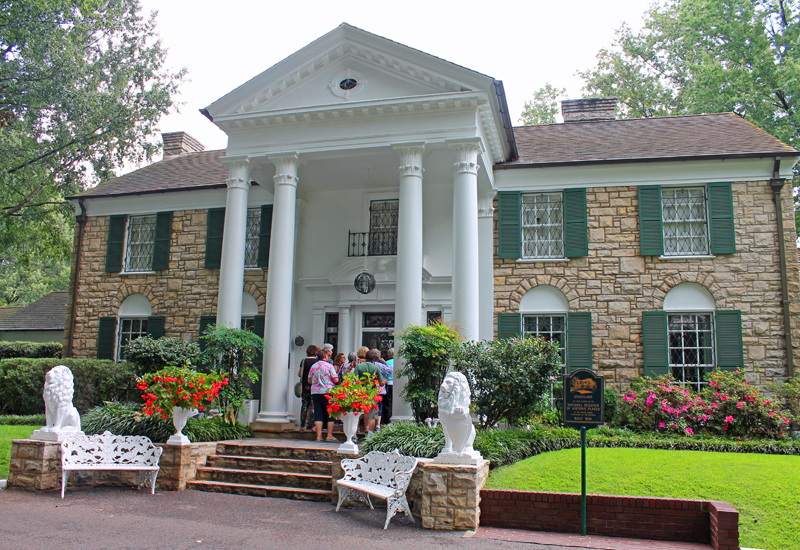 Visitors can follow the same steps as Elvis himself did and enjoy an audio-guided tour through his beautiful mansion. 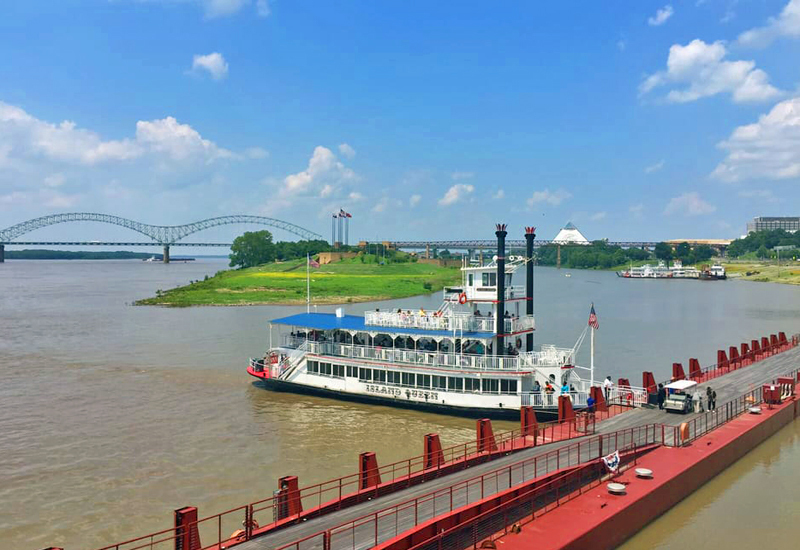 Take a tour on a River boat cruising the Mississippi River. It is an attraction in itself and experience an incredible view of the River, the city and the port. 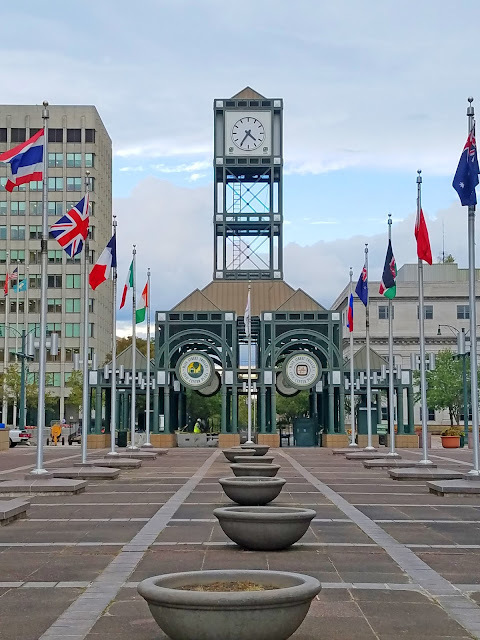 The Memphis trolley makes stops to some destinations like Beale Street, National Civil Rights Museum, South Main Arts District, Mississippi River, Memphis Cook Convention Center and numerous Downtown Memphis hotels like Peabody Ducks and restaurants. There is no better way to get a nostalgic view of Downtown Memphis than by trolley. Trolley fare is only $1 per person. What a gorgeous hotel! I've never been to Memphis before but I'd love to go one day. There's so much to do! I have always wanted to go to Memphis! This sounds like a nice place to stay if I ever get down there. We have been talking about visiting Tennessee so this came in at the perfect time. 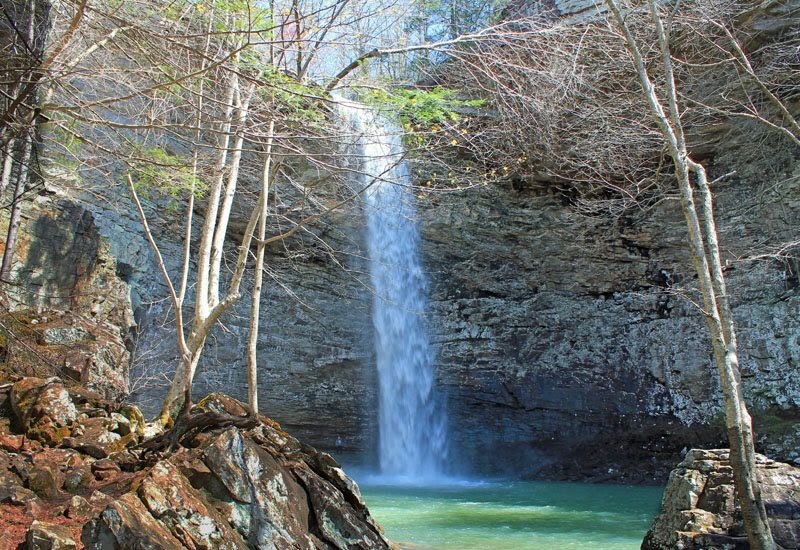 Can start planning our trip now. I have not been to Memphis and there are places in Memphis that I cannot wait to see. I definitely will keep this hotel in line when I get there because it looks like it's beautiful and it's clean. Memphis is on my bucket list. I have friends that went several years ago and they loved it. Great recommendations! This seems like a great place to stay! 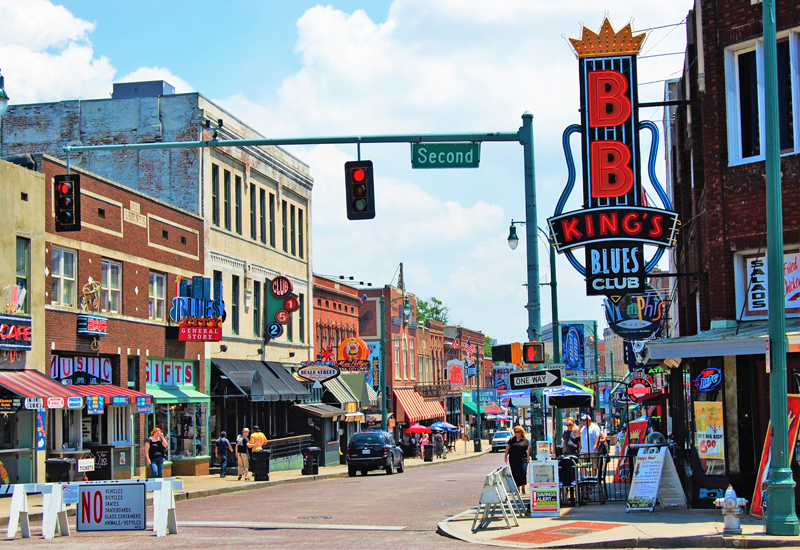 I have always wanted to travel to Memphis as well as Nashville, they both are such great cities filled with music. This sounds like a great place to stay when you are visiting Memphis. I would definitely love to visit myself one day. This is indeed a very nice place! My ex stayed there once on a business trip and sent me photos of how nice it was! We have stayed at many sheraton hotels over the years. We always have a great experience. This one looks beautiful and clean! Sounds like a lovely hotel. 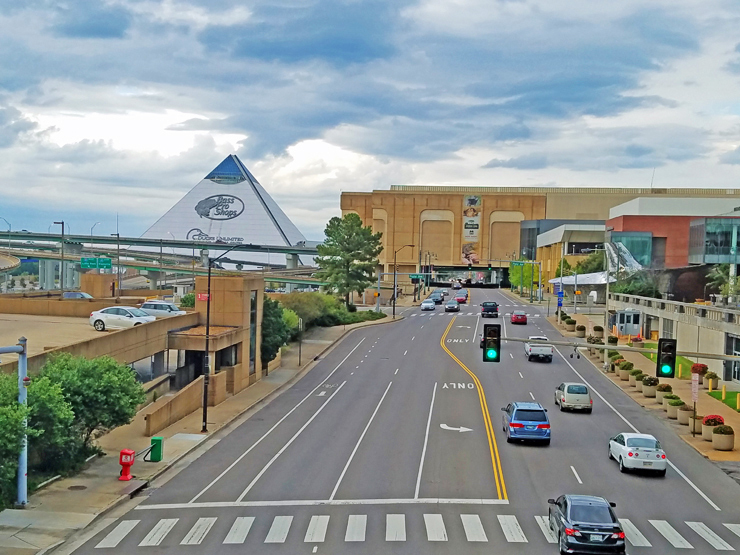 I had no idea that Memphis had a pyramid like building just like the Luxor in Vegas. How neat! You learn something new everyday. Its the Bass Pro Store they selling all kinds of stuff from hunting, fishing , hiking , camping --you name it! The theme of this Pyramid store is like a jungle forest like, they have indoor man made ponds with fishes everywhere so cool. And a big aquarium too! This city is on my long bucket list. Must have been exciting to see the Elvis suite! I have been wanting to go to Memphis. The Sheraton seems like it would be a good place to stay if I do. I've never been to Memphis before but it sounds like such a great city to explore. And staying at a Sheraton is ALWAYS a great idea because of their great spaces and staff. I've been to Memphis twice and I love it. Every time I visit I do something different. My favorite part is the food and music. Cute photos! You do a good job broadcasting the benefits of this hotel experiences. It is hard to know where to book sometimes and first hand accounts are often he best way to get the full picture. Love! Awesome hotel. Looks like it would be quite memorable. Enjoy your time! This is a gorgeous hotel! We always have such a great time when we stay at Sheraton hotels. It looks like you hada good time on your trip as well. We've been to Memphis once when I was younger, but it was still a good time! Memphis looks so cool! I'd love to visit someday. I'm glad you enjoyed your trip. I wish to visit Memphis sometimes with my family, there are so many places here in the US that we haven't explored yet. I go to Memphis quite often. I know a ton of fun stuff to do in Memphis. Memphis is such a fun spot. I go through Tennessee quite often! I hope you had a great time with your kids. Sheraton Hotel is always accomodating with their guests. This sounds like an awesome place to stay! I'd love to visit Memphis. I've never been to Memphis but when I do (it's on my list) I know what hotel I'll be trying to stay at. I've never stayed downtown in Memphis but I have been to Beale Street! We went to Musicfest a few years ago and visited Bass Pro! We will have to check out this hotel next time we are in town. I love the Bass Pro what an interesting Store. We went to Peabody Hotel close Beale Street., they have a free show the called the Ducks walk . Its a group of ducks walking on a red carpet like a celebrity. I think it was cool. Memphis is such a beautiful city. I would love to visit some day. I've only been to Nashville, i'm not too sure how far away that is from Memphis. Memphis is definitely somewhere I have always wanted to travel for the southern culture and also for the sights. This hotel looks like it was amazing. That suite is beautiful. I have not been to Memphis since I was a little girl. We used to visit every summer. Omg i like your suite! I heard many good things about Sheraton hotels, and im excited the soon to open Sheraton here in Manila. What a gorgeous hotel. I haven't been to Memphis yet but heard a lot of good things about the city. This hotel seems so luxurious and stunning. Plus, Memphis seems truly remarkable and I am adding it to my bucket list thanks to your post. How many days would be enough to see all the highlights there? At least 5 days to explore all the attraction in Memphis. 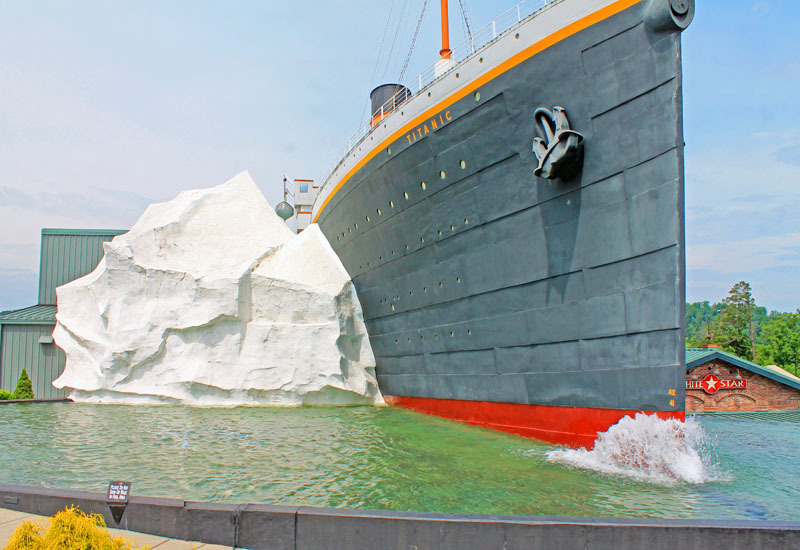 Take the Mississippi boat tour that is a fun trip, Or weather your are ot not a fan of Elvis Presley visiting his Mansion at least ones is a must do while in Memphis.